There’s the wrong sort of Green, about whom I’ve already written. But there’s also the right sort of green. Edgware Road on the Bakerloo line has them both. It’s a veritable flora herd. 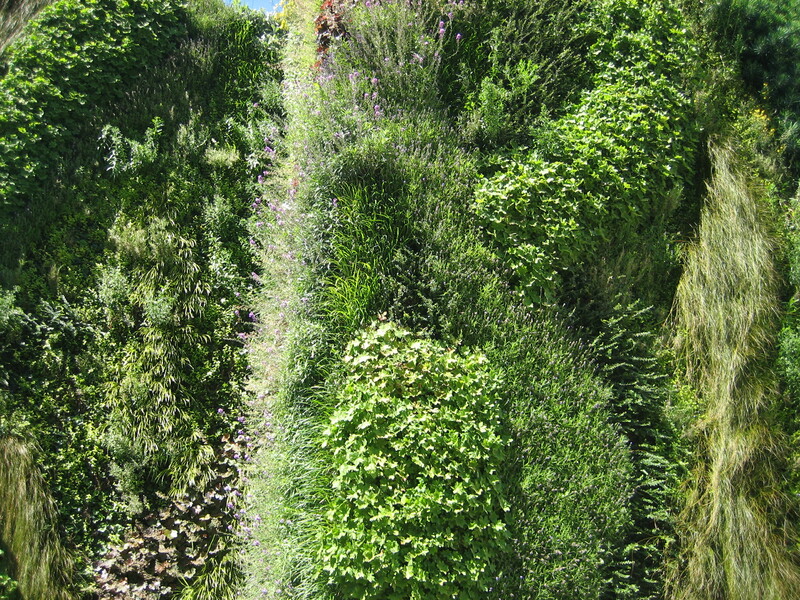 The wall of foliage is so dominant it completely upstages those all-too-ubiquitous ox-blood red terracotta tiles. Less impressively, it threatens to overwhelm that rather lovely TELEPHONE sign peeking out from under the main entrance. 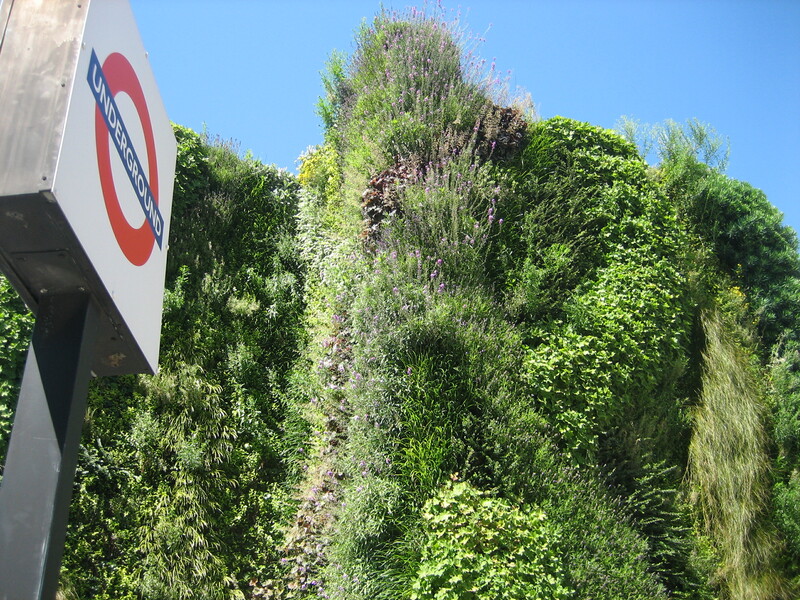 I hope they remember to trim it enough in summer months to stop unsightly growth (stop giggling at the back). Otherwise it might end up more like Hedge-wear Road. I had no idea that was there! My strongest memory of Edgeware Road is it being a miserable little hole under a flyover. Perhaps I’m thinking of the H&C station. They’re both in the shadow of an enormous flyover, but while the H&C station seems to cower in the shadow of the road, the Bakerloo station tries (and, to be honest, fails) to face it down. 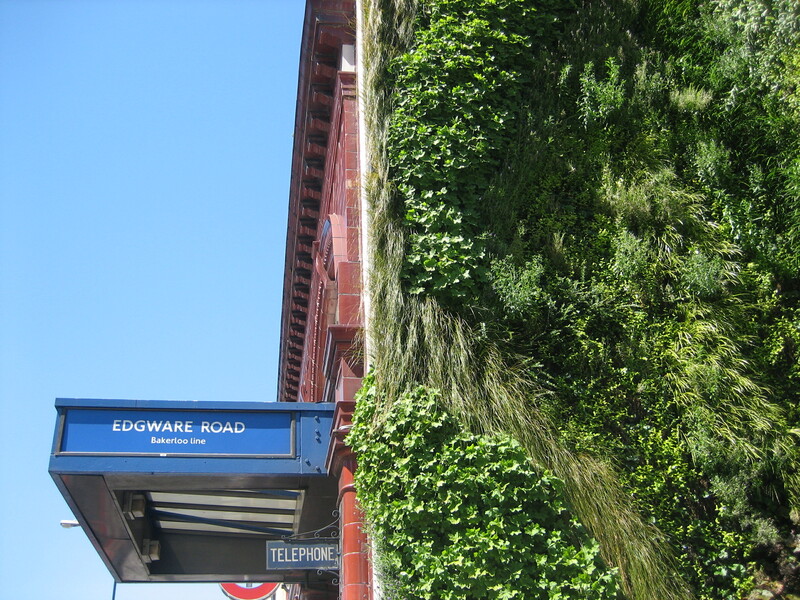 Though I usually use the “other” Edgware Road ….